What makes National Childrens’ Book Day special? This is a day to commemorate the anniversary of the publication of Jose Rizal’s “The Monkey and the Turtle” in Trubner’s Oriental Record in London. This yearly event is an intiative of the Philippine Board on Books for Young People committed to the development of children’s literature in the Philippines. It also promotes international understanding through childrens’ books. This 30th NCBD’s theme : “Basa, mga kapatid!! 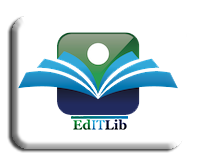 !” is an invitation to read more and emulate our national hero’s love for reading at an early age. 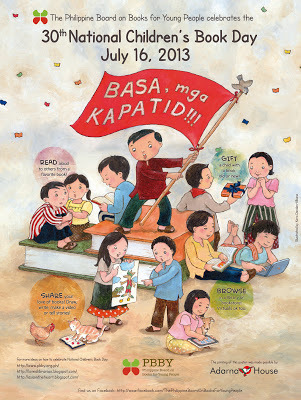 Come July 16, 2013, the HS LRC will celebrate NCBD in a special way by exhibiting storybooks written in Filipino and will feature an expert storyteller for the Grade 7 and 8 students during lunch time. Tags: National Children's Book Day 2013, NCBD, PBBY, reading. Bookmark the permalink.